Climb stairs, count stars, and discover fascinating stories of immigrant life at the turn of the last century. Students explore the rich history of the Eldridge Street Synagogue and gain a new appreciation of the obstacles and opportunities all immigrants face as they build new lives in a new land. Includes interactive exhibits, historic photographs, and oral histories. 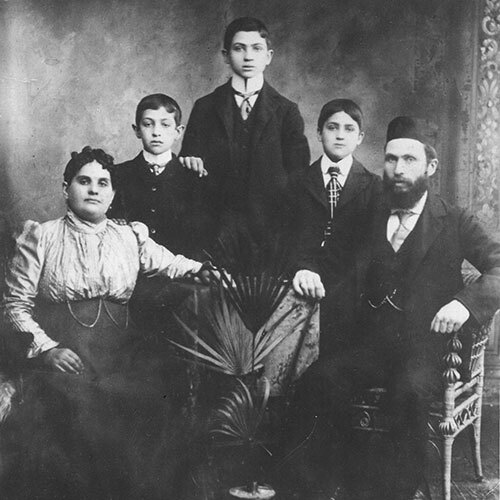 A century ago, New York’s Lower East Side was home to the world’s largest Jewish community. Hundreds of thousands of Jewish immigrants crowded into tenements, labored in sweatshops, and struggled to survive. Today, new immigrants have changed the neighborhood yet again. But look closely. Tucked along these bustling blocks, signs of immigrant Jewish life – and hopes – still remain. 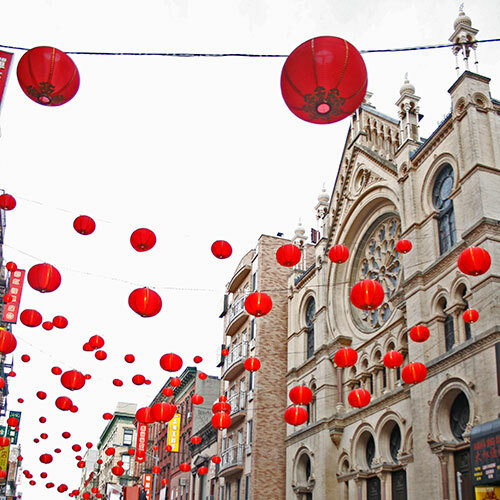 Why is a synagogue in the middle of Chinatown? 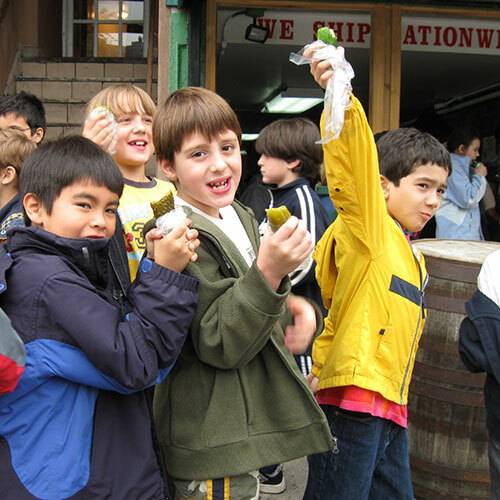 Students investigate how and why communities change over time by exploring the Eldridge Street Synagogue and its neighborhood. Use stories, photographs, a mini scavenger hunt, and an art project to find out how this neighborhood has changed over time. Teachers: Sign up for a classroom visit by a museum educator before your field trip. We’ll introduce the themes of the program as we read and discuss the award-winning story, The Little House. For over a century, the magnificent Eldridge Street Synagogue has inspired thousands of people including artists, musicians and now, budding poets. Explore the sanctuary’s splendor and the synagogue’s immigrant story. Young writers turn discoveries into words and words into poetry. 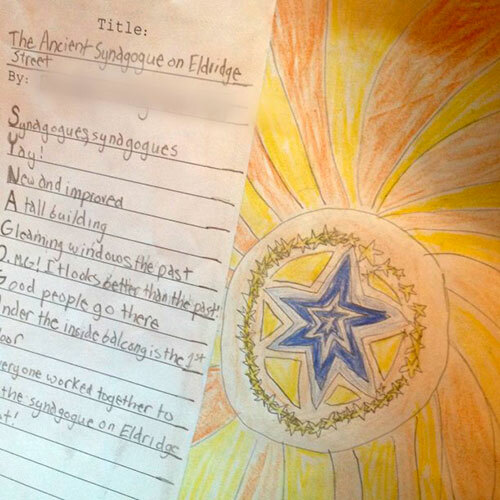 Make the Eldridge Street Poetry Project part of your poetry unit this year. Customized to suit your classroom curriculum. Optional publishing party at the museum included.